High-energy impacts in the loading zone are a frequent cause of material loss in conveyor systems used in coal mines, underground mines and gravel quarries. Flexco impact beds prevent this by slowing down the material that falls onto the conveyor. The EZIB systems are an efficient example. Users can easily modify and fit them thanks to the adjustable trough angle. The product range is equipped with standard components, which makes it both effective and affordable. The impact strips made from tough ultra-high-molecular-weight polyethylene (PE-UHMW) absorb the impact force of the falling material, while the outer protective strip, which is likewise made of PE-UHMW, seals the loading zone. The system is suitable for light and medium-duty loads. Impact beds are also available in lengths of 600 and 1,200 mm. This solution enables users to significantly increase the life of their systems as they are subjected to considerably less load. Combined with Flexco sliding beds, they can be expanded to form complete loading zone systems. Service engineers can change the trough angle to get easy access to the strips and bolts, permitting quick, reliable maintenance. 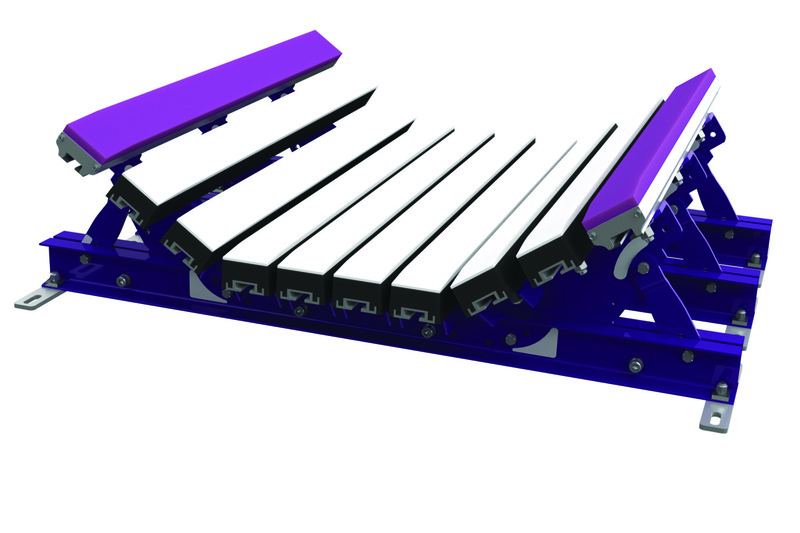 Users of conveyor systems can easily modify and fit the EZIB impact beds thanks to the adjustable trough angle. 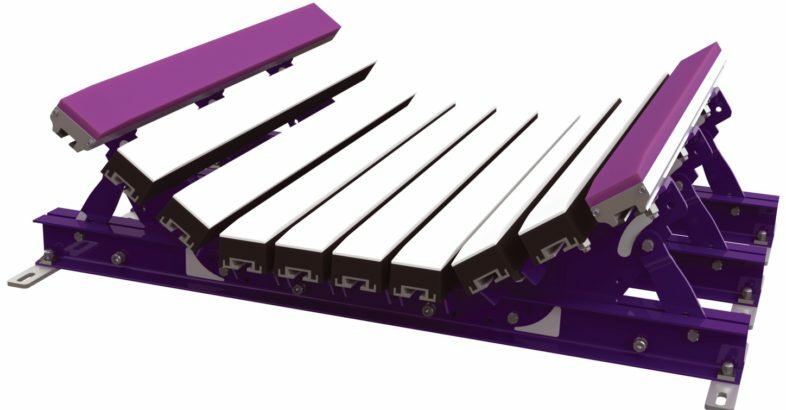 EZIB impact beds are suitable for belt speeds of up to five metres per second and operating temperatures from -40° to +82° C.
Flexco provides solutions for light and medium-duty applications. To select the right impact bed, users must determine the weight of the largest material being conveyed and then multiply it by the drop height. This gives the approximate impact energy.